SAMIAM MONTOLLA is an artist in motion. Starting in the world of dance at a young age, her love for music and singing has brought her to where she is today. Brought up with Caribbean parents, exposed to Hip Hop culture, singing Gospel for a number of years and a lover of R&B and Funk, this singer/songwriter from Montreal, with all the diversity that this city has to offer, it is apparent in her style. She has been in The Montreal Jubilation Gospel Choir, was in the Gospel trio called REVELATION III led by Trevor W. Payne, YOUTHWORKS of Black Theatre Workshop, and is now in the KALMUNITY Vibe Collective. SAMIAM MONTOLLA has performed in different venues such as the Montreal Reggae Festival 2009, was the featured artist on The Songwriter’s Association of Canada in 2012 and in April 2017 is a featured artist on the MAtv series “Studios, Lofts and Jam Spaces”. Working with many artists from around the city from the likes of Monk-e, Waahli, the Narcicyst, and working plenty with Jai Nitai Lotus’, she is featured on his mixtape “ACKNOWLEDGEMENT” collaborating on the songs “Pi (Brahma Built)”, “Broken Toys” and “Noir” also featuring VOX SAMBOU with the beat by KENLO. Most recently released, the single “Life Support” , produced/vocals by Jai Nitai Lotus and DJ Static of WEFUNK Radio. 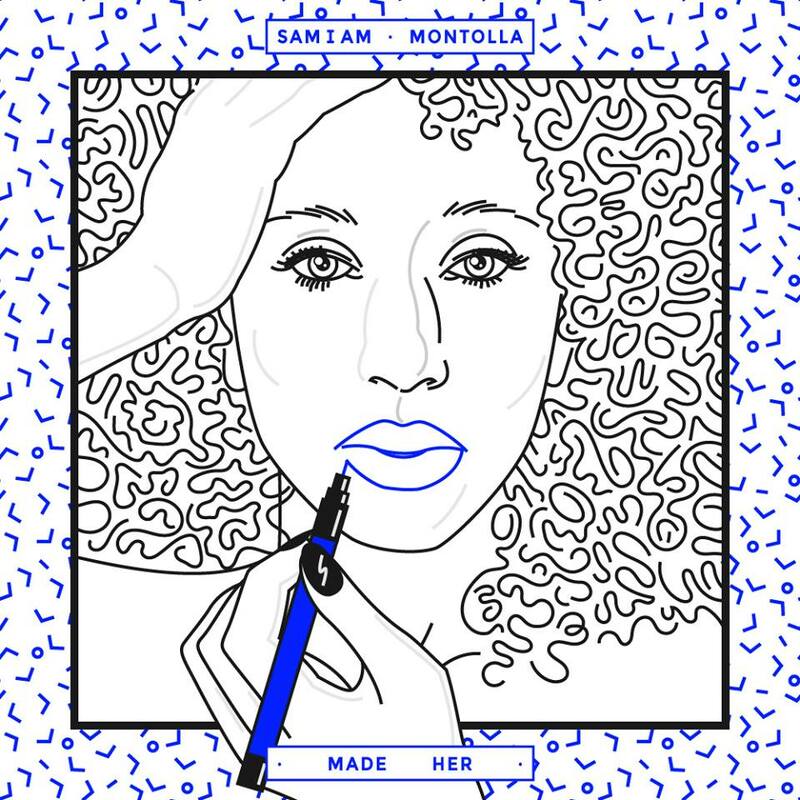 “MADE HER” The first EP by SAMIAM MONTOLLA is a 6-Track body of work, an R&B sound that infuses Funk, Soul and Afro-Rhythms. All tracks produced by SHASH’U, making this EP eclectic but Down-to-Earth and Funk Futuristic. “MADE HER” is the telling of MONTOLLA’s history of where she has been and where she is planning to go. It has MADE HER who she is. SAMIAM also has many other talents and one in particular is Dance. A known Hip Hop dancer and Waacker, she has contributed to the culture in Montreal and internationally, such as New York and Paris. She has taught dance for years and competed in Dance Competitions, as she is one soulful freestyler. Apart of the IMPERIAL HOUSE OF WAACKING, she is under the alias PRINCESS SHAYLA. You can see in the new single “MOVE UP: THE DREAM CHRONICLES”.